Welcome to our coverage of the Dutch election, with news, views and reactions to the divisive race. Prime Minister Mark Rutte's center-right VVD party has fended off populist leader Geert Wilders in parliamentary elections that have garnered international attention. With over 90 percent of the vote counted Thursday morning, Rutte has clearly won the largest share of seats. The VVD are predicted to gain 33 seats, followed by Wilders' Party for Freedom (PVV) in second with 20 seats. The Christian Democrats (CDA) and the D66 emerged in a two-way tie for third with 19 seats each. The Green-Left significantly boosted their representation by winning 14 seats. The social democratic Labor Party (PvdA) suffered a massive loss of seats, leaving them with only nine. Various other smaller parties also captured single-digit seat counts. Six main parties will enter parliament: the ruling VVD, Wilder's PVV, the centrist D66, Green-Left, the Socialist Party and the PvdA. In a diplomatic spat that reportedly led to increased popularity for the VVD, Turkey accused Netherlands of Nazi practices and of being responsible for the 1995 Srebrenica genocide. 08:00 Thanks very much for staying with us. We'll have more reaction throughout the day on dw.com. 06:06 European leaders have taken to social media to congratulate Rutte on his victory as well as the hail the election results as a significant step against the rise of European populism. 06:05 With just over 90 percent of the vote counted, Wilders and the PVV have shifted into second place with 20 seats, still well behind Rutte. His VVD party won the largest share of the vote, gaining 33 seats. The D66 and the CDA scored 19 seats each, and the Green-Left party took 14. The PvdA seat count has remained the same throughout the night at nine seats, a drop of 29 for the social-democratic party. Turnout was over 80 percent. 03:06 The projected seat count has shifted slightly with 54 percent of the vote counted: VVD takes 32 seats, PVV, D66 and CDA take 19 each, the Green-Left gained 14, and PvdA plummets to nine from the 38 seats they achieved in 2012. 02:35 Geert Wilders has congratulated Mark Rutte on the VVD's election victory. "Congratulations to Prime Minister Rutte," Wilders told reporters in the Hague. The leader of the PVV said he would be ready to work with the new government, if invited to do so. However, other Dutch parties have promised not to cooperate with the PVV. Though the PVV landed a distant third, the populist party picked up seats in comparison to the last elections in 2012. The PVV also won the largest share of votes in Maastricht as well as in Wilders' hometown of Venlo. 00:47 As of the first hours of Thursday morning, the national news agency ANP has completed 10.3 percent of an unofficial partial vote count. Rutte's VVD is projected to take 32 seats total while Wilders' PVV will pick up 20, a fair bit shy of the 30 plus seats some analysts expected the far-right politician to gain. D66 and the Green-Left are expected to earn 17 and 15 seats respectively, while the PvdA is predicted to drop into the single digits with nine seats. 00:33 Lodewijk Asscher, whose PvdA party suffered a bruising election outcome with a 29-seat loss, thanked the party's supporters, workers and volunteers. He described the results as "a disappointing, traumatic evening." The current Deputy Prime Minister promised to keep working towards the party's social-democratic ideals. Because the PvdA only secured nine seats, they are not likely to enter Rutte's cabinet. 00:24 Green-Left leader Jesse Klaver, whose party scored the largest seat increase, called the results a "first win for everyone." The 30-year-old politician congratulated the other parties on their results. Klaver noted the international media attention given to the Dutch election. They asked one question, Klaver said: will populism win the day in the Netherlands? The crowd of supporters then chanted a resounding "No!" before Klaver answered himself, saying populism has not broken through in Europe today. Thursday, March 16 - 00:06 As the Netherland's election day - considered a bellwether for the strength of populism in Europe - drew to a close, the leaders of the Dutch political parties have made speeches to their supporters and to the nation via live TV. The triumphant Rutte, whose party captured the most seats in parliament, congratulated his supporters for making the VVD the biggest party for the third time in a row. 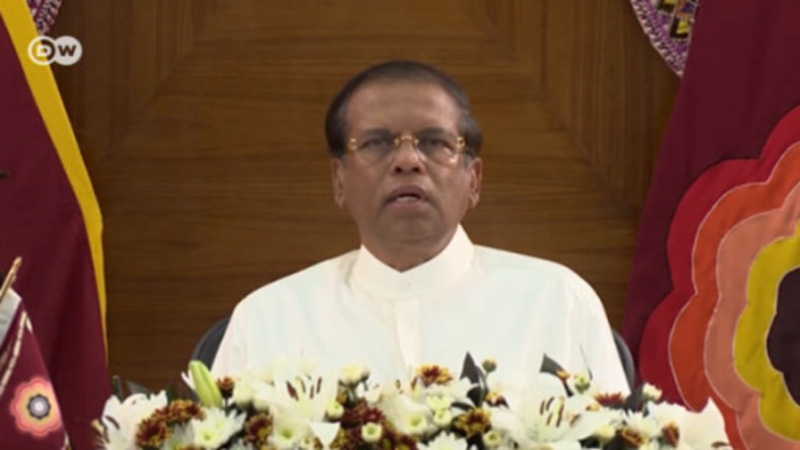 The acting Prime Minister hailed the election results as a vote against extremism. "It is also an evening in which the Netherlands after Brexit, after the American elections said stop to the wrong kind of populism," Rutte said. He described the VVD as the means, and not the goal itself, to ensure government stability and continued prosperity for the Netherlands, and promised to work hard for the benefit of the Dutch people. 23:42 DW's correspondent in the Hague Oliver Sallet has reported on what the poll results mean for the different political parties in Europe. According to Sallet, Prime Minister Rutte's clear victory and resulting 10-seat margin over Wilders' far-right challenge was due in part to undecided voters swinging to Rutte in the final days. 23:37 France's foreign minister Jean-Marc Ayrault has congratulated the Dutch people for "stemming the rise of the far-right." The top diplomat's Tweet also stated "willingness to work for a stronger Europe." 23:39 Merkel has phoned Rutte to congratulate him on his win. The Chancellor promised to work together with the Dutch leader going forwards. With Germany facing its own national elections in September 2017, many analysts feared a Wilders victory could have fed support for Germany's own populist party, the Alternative for Germany (AfD). 22.50 More reactions have been coming in from some of the winners and losers of tonight's election. Tamara van Ark, campaign leader for Rutte's victorios VVD, said she was "so proud" of her party's victory and "happy that we have been given the trust again." Marjolein Meijer, chairwoman of the Green Left party, which enjoyed a huge leap in seats, going from four to 12, said: "This is a fantastic result for us, a historic victory." The result, she said, showed that there is "very fertile ground in the Netherlands for change and a positive and hopeful story." Finally, Sharon Dijksma, a junior Cabinet minister for the left-wing PvdA, which suffered a crushing defeat, losing 29 seats, described the result as "an enormous slap for us." After four years of helping push through strict austerity packages as the junior coalition partner in Rutte's government, the party appeared to have suffered the wrath of Holland's left leaning voters. The Labor Party is the party of Jeroen Dijsselbloem, Dutch Finace Minister and chairman of the eurogroup, the group of eurozone finance ministers. However, the PvdA unlikely to be part of a new coalition, it appears that Dijsselbloem will be unable to hold on to his postion in Brussels. "I think that all social democrats this evening have a scratch on their soul," Dijksma said. 22.35 The financial markets are reacting to news of Rutte's (effectively assured) victory. The euro has rallied in the late hours of trading, touching its highest level in over a month. Bloomberg reported that the shared currency could be headed for its biggest advance since June. 22.10 The head of German Chancellor Angela Merkel's office, Peter Altmaier, has congratulated Prime Minister Mark Rutte on his election victory. "Netherlands, oh Netherlands, you are a champion," he tweeted in Dutch. "Congratulations on this terrific result." 22.00 DW's Rebecca Staudenmaier spent election day in Geert Wilders' hometown of Venlo, where support for the PVV leader proved surpriisingly hard to find. Post-Brexit and Trump, were we too wary of a populist surge? "Outside the main train station, around the polling stations, in the streets downtown - there was nary a campaign poster to be found supporting Wilders or the PVV on Wednesday. Indeed, the PVV was only mentioned on a sticker telling people not to vote for the party." 21.52 Germany's Foreign Office has welcomed the result. 21.45 Geert Wilders have taken to Twitter to thank his supporters and fire a warning at the Prime Minister. Wilders tweeted: "PVV voters - thank you. We won seats. First gain is secured. And #Rutte hasn't gotten rid of me yet!" 21.40 Green Left party appears to have made the biggest gains, winning a projected 16 seats, 12 more than in 2012. DW's Andrea Lueg is at the viewing event; party members appear to be pleased with the result. 21.30 The second exit poll also projects the Rutte's VVD claiming the most seats. 21.25 Former Dutch D66 lawmaker and MEP Lousewies van der Laan sees a four-party coalition made up of the VVD, D66, the Christian Democrats and the Green Left as the most likely outcome. 21.22 Tied in second place with Wilders' PVV are the Christian Democrats and the liberal D66 party. Lodewijk Asscher's socialist PvdA, meanwhile, has taken a severe beating, winning only five seats, a staggering loss of 29 seats. That defeat, however, paves the way for a new voice on the left, the Green Left party. 21.20 A more accurate projection of tonight's results is expected to be released at 9.30 pm. 21.15 Gert Wilders' anti-Islam PVV tied with two other parties in second place, taking just over 12 percent of the vote and 19 seats. 21.10 Exit polls show Prime Minister Mark Rutte's liberal VVD party leading the Dutch parliamentary elections, taking a projected 31 seats. It looks like a victory for the incumbent, but the party will have to reckon with 10 fewer seats in the 150-member lower house. 21.00 The polls are officially closed. First exit polls results to follow shortly. 20.10 Ipsos reported just before 8pm that the turnout rate was 73 percent - that's considerably higher than at the same time in 2012 (60 percent) but slightly lower than in 2006 (70 percent). DW's Bernd Thomas Riegert reports that turnout could now reach well above 80 percent. 20.00 Only an hour to go before voting closes and the first exit poll results are released! We'll keep you updated here through the evening and into night, as will all our correspondents reporting from the Netherlands. 19.35 DW Brussels correspondent Alberto Fernandez managed to get snap of incumbent Prime Minister Mark Rutte arriving at the VVD headquarters for tonight's viewing party. First exit polls are expected at 9pm. Are they keeping the champagne on ice? 19.30 Polling stations were set up on the uninhabited man-made archipelago of Marker Wadden, so that visitors who wanted to make the most of Wednesday's beautiful weather wouldn't miss the chance to vote. Around 1,300 people cast their ballots on the sandy island, according to the Dutch nature preservation society, Natuurmonumenten. 18.15 With most people now leaving work, queues outside of polling stations are only getting longer. Ipsos now estimates the turnout rate to reach at least 80 percent. It seems unlikely, however, that a new participation record will be set this year. That record honor belongs to the 1977 elections, which saw a record 88 percent turnout. That year, the Labor Party managed to win the most seats in the lower house but failed to form a coalition. More than 200 days of negotiations later, the Christian Democrats and People's Party for Freedom and Democracy finally managed to form a government, with Dries van Agt taking over as Prime Minister. 18.00 Turnout hits the 55 percent mark, Dutch public broadcaster NOS reports. The high turnout has forced the city of Amsterdam to print 25,000 additional ballots. 16.55 More high turnout number coming in as The Hague, the seat of the Dutch government, reports a 44.6 percent turnout rate, up from 36.4 percent recorded at the last election. 16.30 Dutch Green party leader Jesse Klaver tells DW that he has reason to remain confident: "Geert Wilders is losing momentum in the polls, while we're gaining momentum." Klaver says that these elections can send a message to the rest of Europe: You can stop populism. 16.00 Reseach bureau Ipsos, which is gathering polling data, reports that turnout reached 43 percent by 3:45 pm local time, up from 37 percent in 2012. 15.30 DW's Rebecca Staudenmaier reporting from Venlo noted that no-one she had talked to would admit to supporting Wilders, but that immigration was an issue for many of them. "There are modest lines at the polling stations but it's been a pretty steady stream coming in all day especially to the old city hall in Venlo," Staudenmaier said. "A small majority of people I've spoken with say they think the Turkey spat will help Wilders, but the rest think Rutte will come out stronger because of his response." "A majority brought up immigration as an issue, saying they think some people aren't integrating and that they think it is unfair that immigrants receive state money rather than that money going to the Dutch people," Staudenmaier added. 14.07 Voter turnout is expected to be far higher than the last election. Pollsters Ipsos put voter turnout at 15 percent at 10:30 am (0930 GMT), up from 13 percent five years ago, with mild weather playing a part. In The Hague, the seat of government, the figure was above 23 percent at noon, up from 19 percent in 2012. High figures were recorded in Rotterdam and Utrecht as well. 12.52 National daily "Der Volksrant" is reporting high voter turnouts at several municipalities. In Enschede at 11:00 20 percent of eligible voters had already cast their vote, compared to 16 percent five years ago. In Rotterdam at 10:00 13 percent had voted compared to 10 percent last time. 12.35 Send more boats! Voters (and boaters) have descended en masse to a polling booth on the newly built island of Marker Wadden for their first chance at visiting the man-made island. Access to the ecological project is normally restricted. 12.16 Rutte says the elections can send a message to the world. "We have the upcoming French and German elections. And this is a chance for a big democracy like the Netherlands to make a point - to stop this toppling over of the domino stones of the wrong sort of populism," he said. 12.08 Tabloid "Algemeen Dagblad" released preliminary exit poll results from the "most average" electorate in the Netherlands, putting Rutte at a healthy 26 percent, followed by D66 at 12 percent. Bear in mind their sample size was just 154 people. 12.02 Peilingwijzer, a site that collates major polls, has published its final tally. It predicts Rutte's VVD party will wub between 24 and 28 seats in the 150-seat lower house, with Wilders' party in second place at 19 to 23 seats, narrowly ahead of the Christian Democrats at 19 to 21 seats. Rutte's junior coalition partner since 2012, the Labor Party, is projected to take 10-12 seats, well below the 38 seats the party won four years ago. 11.43 Here's another picture of the Trudeau doppelgänger in charge of the Green-Left party. 11.41 An Ipsos poll found voter turnout is higher than at the last election. At 10.30 voter turnout was at 15 percent, compared to 13 percent in 2012. 11.26 Jesse Klaver is a rising starfrom the Green-Left, but most of his headlines come from how much he looks like Canadian PM Justin Trudeau. He tells DW correspondent Bernd Thomas Riegert he lacks the muscles to make a fair comparison. 11.24 Many voters are complaining about the sheer size of the ballot papers - about 900 names from 28 parties are on the paper, the Telegraaf reported. 11.09 DW reporter Thessa Lageman says many people she spoke to in The Hague voted for Wilder's Party for Freedom. 10.50 The VVD-aligned cycling enthusiast dubbed "Netherland's fastest mayor" by Dutch media is riding to all 29 polling stations in his electorate to deliver cookies and raise support. 10.38 Mark Rutte cast his vote at a school in the Hague, telling Dutch people to go and vote too, saying it was a right that people had fought hard for. 10.35 An election eve debate between Dutch political leaders was by far the most-watched show that night with nearly 3.3 million people tuning in, according to The Viewing Research Foundation. Netherlands has a population of about 17 million. 10.18 Pro-Erdogan hackers took over several Twitter accounts of high-profile European CEOs, publishers and government agencies, using them to spout anti-Nazi messages in Turkish with the hashtags #Nazialmanya or #Nazihollanda. European Commission head Jean-Claude Juncker said he was "scandalized" by the comparisons. 10.05 Populist candiadte Geert Wilders' Party for Freedom gained significant support throughout his controversial campaign, but is now running slightly behind Prime Minister Mark Rutte's VVD party. Pollsters I&O said Wilders' dip in support hours ahead of polls opening was due to Rutte's decision to prevent Turkish officials from campaigning for a nationwide referendum that could consolidate President Recep Tayyep Erdogan's powers. Rutte is bidding for a third term as premier of the country of 17 million people - one of the largest economies in the eurozone and a founding father of the EU. Final polls appeared to show Rutte pulling away from Wilders, crediting the VVD with coming top with 24 to 28 seats - but down on its 40 seats in the outgoing parliament. Polls show four other parties are expected to gain more than 10 seats, including the centrist D66, Green-Left, the Socialist Party and the social democrat Labor Party (PvdA). The CDA and D66 would be natural coalition partners for Rutte, both of whom have refused to work with Wilders. Labor appears to be sinking this year, while the left-wing GroenLinks and its young leader Jesse Klaver are enjoying a boost, expected in some quarters to win 16 to 18 seats, possibly making him in a powerful kingmaker. that's the message we have to send to Europe. You can stop populism." Nearly 13 million Dutch citizens are eligible to vote, according to official figures. Polls close at 21:00 with exit polls expected shortly after. The prime minister said that the Dutch election could cause a ripple effect across Europe in favor of "the bad kind of populism." France and Germany also face an emboldened populist right in elections later this year.